"Amazing cover, great styling with the black dress and hat, clean and sharp." "Not only the best March cover, but possibly their best ever!" "They could have done something 100 times better than this!" 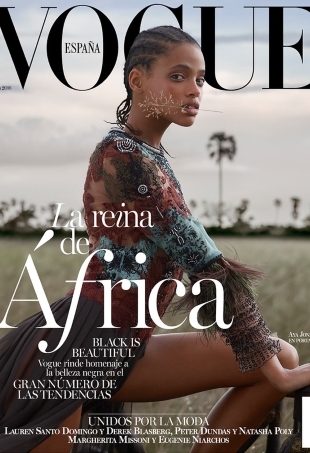 Is Vogue Spain starting to show signs of improvement with its June 2015 cover? 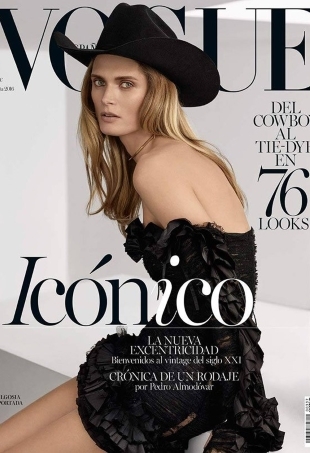 Scoring her second Vogue Spain cover, Constance is the magazine's July 2014 cover model of choice.